Factors which may contribute to plantar fasciitis and heel spurs include a sudden increase in daily activities, increase in weight (not usually a problem with runners), or a change of shoes. 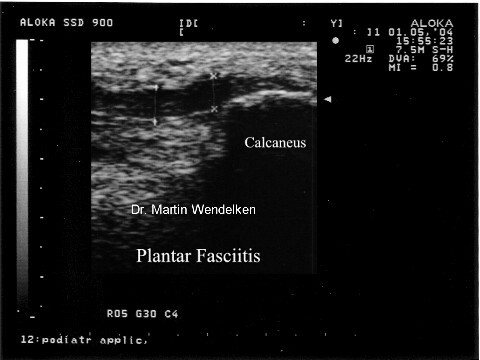 Dramatic increase in training intensity or duration may cause plantar fasciitis. Shoes that are too flexible in the middle of the arch or shoes that bend before the toe joints will cause an increase in tension in the plantar fascia. Even though you may have run in shoes that are flexible before, now that you have developed plantar fasciitis, make certain that your shoe is stable and does not bend in the midfoot. Check and be certain that your shoes are not excessively worn. Shoes that do not sufficiently control excessive pronation combined with an increase in training can lead to this condition. A change in running style or parameters, such as starting speed work, running on the ball of your foot or sudden increase in hill workouts may lead to problems. All changes should be gradual and not abrupt. Gait changes such as altering your foot strike, switching shoe style, running barefoot or in minimalist shoes should all be made gradually and not abruptly. The "terrible too's" of too much, too soon, too often with too little rest also applies to "too many changes with too little adaptation". Make your changes gradually and allow your muscles, bones, and other body structures to adapt to the alterations you may be attempting.